The Volkswagen subsidiary also brought on Eleven Inc. as its creative shop last month. 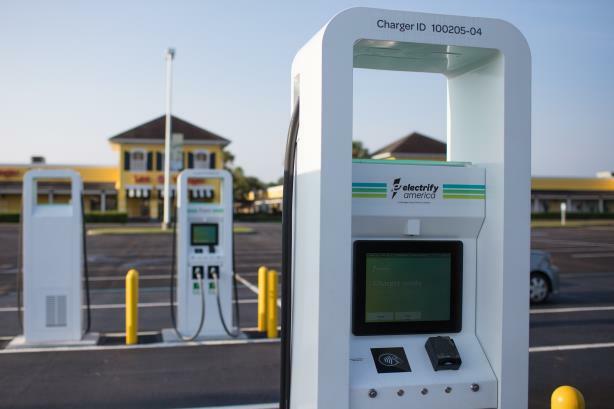 RESTON, VA: Electrify America, a company building a network of charging stations for electric vehicles, has named a combined team consisting of Zeno Group and Compass Communications as its PR AOR. The combination started work in January after picking the agency team the month before, concluding an RFP process it started last summer, said Mike Moran, head of communications for Electrify America. He declined to say how many agencies were invited to pitch. "For us, the Zeno-Compass blended team stood out and captured our attention," Moran said. "It was clear they understood what we’re trying to accomplish." Zeno EVP Sabrina Friedman Crider and Compass founder and CEO Eddie Fernandez will lead the account team. Financial details of the contract, which is set to run through the end of 2021, were not disclosed. Electrify America is a wholly owned subsidiary of Volkswagen Group of America that was created in 2017 in response to the automaker’s diesel emissions scandal. The organization is headquartered in Reston, Virginia, and has an office in Pasadena, California. Electrify America also completed a search for a marketing agency last year, settling on San Francisco-based creative shop Eleven Inc. The company is planning to spend $2 billion over the next decade to build charging infrastructure, and it is looking to the Zeno-Compass team to support that work and promote educational programs about electric vehicles. "We see the Zeno-Compass team as strategists for us," Moran said. "They’ve been coming to us with creative ideas from the very start to bring zero-emission-vehicle awareness to consumers." The agencies are planning to build awareness via media relations, corporate communications, digital outreach and executive thought leadership, with a geographical focus on California, Moran said. "They are laser-focused on several key markets," Moran said, "but California is the largest market in the country and almost the world for electric vehicles." Zeno, a DJE Holdings company, was named Agency of the Year at the PRWeek U.S. Awards 2019 in New York last month after posting its ninth consecutive year of double-digit growth in 2018.